Search over 800 different accredited RN to MSN programs online or on-campus. Online RN to MSN has the most extensive list of Masters in Nursing programs online. Every single MSN program is hand-edited in our directory, and the majority of MSN programs on this website are listed with a quick summary/overview written by one of our editors. The Master of Nursing, along with many subdiscipline tracks or APRN (Advanced Practice Nurse Practitioner) programs are one of the most researched on the web, and are assumed to be a significant area of emphasis. The American Association of Colleges of Nursing has published numerous studies and resources showing the importance of Masters-educated nurses in the workforce. To begin figuring out which Masters in Nursing program is best for you, start with viewing some of the top MSN programs, or click a state to filter and find colleges in your area. The RN to MSN degree advancement track is an innovative degree program that provides specialized courses for associate level nurses wanting to obtain a Masters of Science in Nursing. The creation of the RN to MSN program was in response to the changing educational standards for nurses, requiring nurses to hold a minimum of a Bachelors degree to obtain licensure. Nurses already licensed were still permitted to work as licensed registered nurses, but this change put them at a disadvantage when applying for new positions in the field. RN to MSN programs bypasses the need to obtain a Bachelors degree, and can potentially give experienced nurses the extra educational flair needed to find meaningful and profitable careers. Online RN to MSN is the most comprehensive online guide dedicated ONLY to the Master of Science in Nursing degree for current Registered Nurses. Registered nurses everywhere should strongly consider furthering their education with a Masters of Science in Nursing degree. The most common option universities are providing is the RN to MSN program. Because of the common program standards, reputable, accredited universities have been able to enroll students into Online RN to MSN programs. Throughout Online RN to MSN, you will find the following information. We have built a database of more than 830 different MSN programs in the United States, based on the latest data from 2016 and multiple sources, including the Commission on Collegiate Nursing Education (CCNE), Accreditation Commission for Education in Nursing (ACEN), the American Nurses Credentialing Center (ANCC), and the National Center for Education Statistics. You will notice throughout the site that salaries and job outlook statistics are referenced from data that was collected for the United States Bureau of Labor Statistics. On the degree program pages, you will find extremely detailed information on that degree. We researched dozens of specific programs – online and campus-based – and wrote comprehensive, but easy-to-read summaries of the program. You can find out what classes you should expect to take, how long a typical program takes to complete, if you can study the program online, what job you should expect post-graduation, etc. We have used the CCNE, ACEN, and NCES data to find all of the Master of Science in Nursing programs in the United States. We are constantly searching to find more programs, so be sure to let us know if you find any that are missing. Note that any program that is in our database does need to meet multiple requirements, the first and foremost being that any program in our database MUST be accredited. RN to MSN programs feature the main topics associated with nursing education in a manner that provides students with the opportunity to advance their knowledge in the field of nursing within a shorter timeframe than most other Masters level programs. If you are currently a registered nurse and want to advance your degree as quickly as possible through online learning, you have stopped at the right place. Our experts have years of experience in researching educational programs. They have provided this guide as a reference for you throughout your journey. Take a look below at some helpful information that can get you started on your way to the MSN. Considering we are a site dedicated to RN to MSN programs, we highly recommend seeking out an RN to MSN or MSN program that is EITHER CCNE or ACEN accredited. This ensures nursing practices and knowledge are consistent across all accredited programs, and gives an additional layer of accreditation protection. Employers are usually happy with CCNE and ACEN prepared nurses as well – it gives them a better idea of what training graduates will get. The RN to MSN degree advancement program is designed for current registered nurses that are searching for educational advantage and possibly a change in scope for their career. When deciding to take part in this great program, it is important to consider what is required for entry, as well as the potential specialties available at the Masters level. After reviewing some popular universities offering this program, our experts provided some data that could be important along the way. What our experts found is that the requirements of most programs are very similar with some universities have slight variations on what is required to be accepted into the program. Browse through some of the requirements below to get a better idea of what you should have available before applying to different colleges. If you want to be accepted into RN to MSN programs, you should be able to prove that you previously graduated from an accredited university. Accreditation in nursing programs is extremely important, due to the impact that nurse have on the general public. State licensing agencies are not willing to license individuals that have obtained degrees from universities without the proper accreditation, making it even more important to consider from the very beginning. Completion of the NCLEX is also required for entry into RN to MSN programs. The NCLEX is an examination that is required for all nurses seeking licensure throughout the country. This exam consists of nursing related topics and scenarios that tests graduate’s knowledge of the nursing field as a whole. Most universities require that you send proof of completion at the time of application. As a standard requirement for RN to MSN programs, you must be able to provide proof that your nursing license is current and in good standing within your state. Schools offering this program want students that have proven themselves as good professionals in the field and have no negative marks on their professional record. Applicants that are currently undergoing discipline actions or that have received a limit on their practice are not likely to be accepted into RN to MSN programs. If you are interested in getting accepted into these programs, be sure that you are currently licensed and have no restrictions on your nursing license. Although some universities vary on the specific GPA required for entry into the program, the general requirement is a 3.0. Through your search for the right school, you may find others that require a minimum of a 3.2 or even a 2.8. Achieving grades that are good to excellent in previous degree programs shows that students are dedicated to the nursing field and are willing to work hard to learn the information provided. Schools provide this requirement so that they are sure that applicants will take the curriculum seriously and be a reliable nurse in the future. The educational requirements are sometimes not all that you need to be accepted into MSN degree advancement programs. The MSN program touches on a lot of subjects that require experience in nursing for you to truly grasp. Since this is also an accelerated program, experience in the field of nursing can give you the foundation and comfort with the atmosphere of nursing that is needed to get the most out of each subject. Most schools want applicants that can relate to real-world situations, so that they can better understand the information being taught during each course. The experience requirement can also vary greatly depending on the school chosen, so be sure to choose one that relates to the kind of experience you have or for the specialty you are seeking. The last standard requirement for entry into RN to MSN programs is the paperwork. Along with submitting your application for admissions, you should prepare to send transcripts from you high school and any colleges attended thereafter. Since educational requirements can vary from state to state, RN to MSN programs want to be sure that your previous coursework matches to their current prerequisite standards. Most universities also require professional letters of reference, which can be obtained from you current supervisor or manager if you are currently employed as a registered nurse. There are many different ways to become a Masters level nurse through educational programs. Depending where you are currently located educationally, you may find that some paths are more fitting for what you require. Since nurses are constantly in demand, educational institutions have opened doors to individuals with lower degrees or even degrees in other subjects to obtain a Masters degree in Nursing. Our experts have outlined a few methods for achieving an MSN below for you to read through. The ASN/RN to MSN is great for registered nurses that have only achieved associate level education in nursing. Through structured coursework, students can transition from associate level to Masters level in around 4 years, without having to achieve a separate Bachelors degree, then wait to be accepted into a Masters program. Since there are still a lot of nurses working in the field as the ASN level, this program was created in an effort to promote these nurses to a higher degree level with ease. This program guides students through the process of first becoming a Bachelors level nurse, then quickly transitioning them to Masters level status in a short time frame. This condensed program requires that nurses have experience working in the field, so that the information taught during the courses is understood and can be moved through quickly. The whole program can be completed in 4 years at some universities and provides students with the most important aspects of nursing as well as the skills required to advance throughout a career. The end result of this program is students having achieved both a Bachelors and Masters in Nursing. For students that have obtained a Bachelors degree, even in a subject other than nursing, BSN to MSN programs are available to transition them to nursing without having to obtain another Bachelors degree. These programs are an excellent choice for graduates that may have made the wrong decision for a degree during their undergraduate education. This is a mistake that a lot of people can potentially make, since it is difficult and expensive to change majors early in most programs. 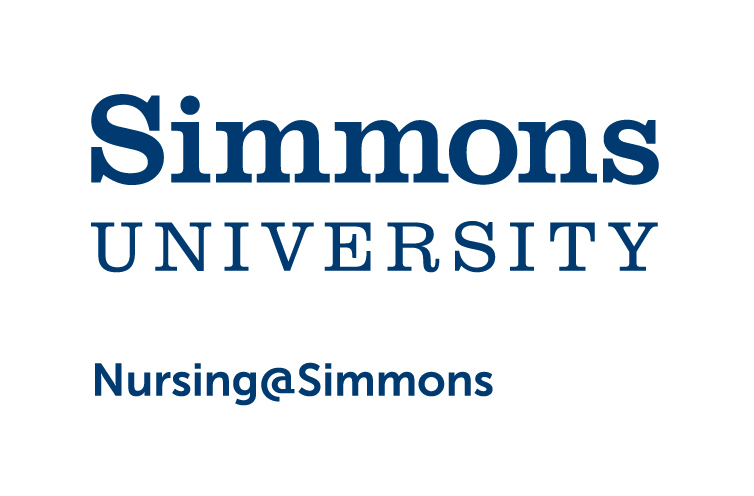 Since a lot of people entering into this program do not have nursing degrees, the admission requirements do not require licensure or RN status to enroll. Some programs offering this degree can be completed in 3 years on average. MSN degrees are available in many different areas and specialties. If you have a certain group of people that you wish to serve or various medical specializations that interest you, consider some of the most popular specialties chosen by nursing students across the country. The healthcare field is prominently the largest employer in the country, with positions opening up in different specialty clinics, hospitals, and private practices daily. Choose a specialty that can express your talents and your passions to the public in a way that promotes better health for the group you serve. Through this specialty, nurses can gain the skills in leadership and motivation needed to proactively lead a team in the healthcare field. This is a popular field due to the desire to achieve higher levels of employment, such as leadership positions in hospitals, clinics, and other specialized medical clinics. The surge in interest in midwives for pregnant women across the country has sparked an interest in this specialty among degree seekers. This specialty provides students with the knowledge of women’s health, childbirth, and aftercare for both mother and child. Currently the highest paying Masters level nursing career, nurse anesthesia draws in students that desire the most financial security from their degree program. Students choose this specialty to become an important part of the surgery process and have a career that is meaningful to patients visiting hospitals and surgical centers. One of the slower paced nursing fields is that of family nurse practitioners. This field allows professionals to work in a slower paced office setting and provide care to familiar families. This specialty is growing in popularity since more people are putting their trust in nurse practitioners for standard healthcare. Gerontology as a specialty for nurse practitioners allows them to work with the elderly in hospitals, retirement homes, or in private residences. This field is great for people that are looking for something a little different than the standard nursing career, but still just as impressive. Pediatric nurse practitioners work with children in pediatric clinics, hospitals, and even private practice. This field attracts nurses that have a desire to work with children in an effort to better their overall health and provide a helping hand in the event of illness or injury. On the business side of nursing, professionals are needed to assist with the development and implementation of new health policies. Since technology is changing the medical field as a whole, health policy specialists are needed to continually update policies and maintain them in a healthcare setting. This is a popular specialty since it can be applied in many different areas that deal with nursing, such as healthcare facilities, government agencies, and even non-profit organizations. Nursing education prepares students for a career instructing the art of nursing to others in a professional setting. This type of specialty is not limited to college-level professors, but also to trainers and professional consultants in many different businesses with a focus in nursing. Students that seek careers leading others find specialties such as this one to be particularly attractive. If you want a degree that expresses your desire to manage others, than this is a great choice. Through nursing-oriented coursework and instruction, you can learn the skills necessary for being an effective and just leader in healthcare facilities. Forensics has exploded in popularity over the last few years, likely due to the media attention and television shows portraying individuals working in this field. Forensic nursing deals with the investigative branch of nursing, including evidence collection and expert opinions. If you hope to work alongside law enforcement, perform assessments of victims, and report your findings to investigators or in a court setting, this is a great specialty to look into. Due to the regulations in pain management clinics and hospitals, the need for pain management specialty nurses has skyrocketed. People are choosing this division of nursing due to its focus on the pharmaceutical and therapeutic practices and how well they can work for individuals that experience chronic pain. Rest assured that any RN to MSN or Masters of Science in Nursing programs that you will find on this website are accredited. However, note that you should be sure to ask any admissions department to confirm the school’s accreditation before enrolling in any program. Here are the types of accreditation that are important for any Online MSN program. As mentioned, there are 825 total MSN programs at nursing schools across the United States. Of those, 608 are CCNE accredited and 102 are ACEN accredited. The remaining 115 MSN programs are accredited, but not by one of the two major nursing associations. HOWEVER, they are accredited either by a regionally accrediting board or national accrediting board. There are important distinction between Program Specific Accreditation and University Accreditation that is important to address. Program Specific Accreditation is an accrediting board specific to a specific program area. The most popular and renowned within Nursing, for example, is the CCNE or ACEN. There are other program specific accrediting board for all sorts of programs. As an example, MBA programs that have AACSB have the highest form of Business School accreditation. While some programs at some universities do have program accreditations, they also have University Accreditations. University Accreditation asserts that the ENTIRE university is accredited. There are a number of benefits to having a university accreditation, including a broad reassurance that the university is operating under guidelines that ensure a student gets a quality education. Additionally, university accredited schools can use federal financial aid to help students fund their education. National accreditation is given to universities that can operate on a national basis. Sometimes these are seen as a lesser accrediting board, but sometimes it is how online universities can operate within multiple states across the country. Regional accreditation is considered to be the highest form of accreditation a University can get. There are only six Regional Accrediting boards in the United States. The Middle States Association of Colleges and Schools – Accreditation of colleges in the middle states region (Delaware, District of Columbia, Maryland, New Jersey, New York, Pennsylvania, and Puerto Rico). The New England Association of Schools & Colleges – Accreditation of colleges in the New England region (Connecticut, Maine, Massachusetts, New Hampshire, Rhode Island, and Vermont). The North Central Association of Colleges and Schools – Accreditation of colleges in the north central region (Arkansas, Arizona, Colorado, Iowa, Illinois, Indiana, Kansas, Michigan, Minnesota, Missouri, North Dakota, Nebraska, Ohio, Oklahoma, New Mexico, South Dakota, Wisconsin, West Virginia, and Wyoming). The Western Association of Schools and Colleges – Accreditation of colleges in the western region. Generally speaking, Regional Accreditation is the highest form of accreditation a university can get at the university level. Most Registered Nurses that want to continue their nursing education to a Graduate degree or Masters level, but are currently employed, prefer to seek out an accelerated RN to MSN program. Similarly, Registered Nurses that are not currently employed or are maybe looking to halt their employment and want to work towards their MSN degree quickly prefer an Accelerated or Fast Track RN to MSN program. An Accelerated, or Fast Track RN to MSN Program offers up the same curriculum as a standard RN to MSN program, with the key difference being the amount of time to complete the program. By using flexible scheduling and primarily online coursework, accelerated RN to MSN programs can significantly decrease the amount of time an RN has to spend to get their MSN degree. Note that if you have been browsing the website and our listings, and you find something incorrect or inaccurate, or if you notice an accreditation or school is missing, please be sure to contact us via email at schools at onlinerntomsn.com.